These were the words said by the Yahoo CEO Marissa Mayer after the official announcement of the Tumblr website by Yahoo for the price of $1.1 billion. Yahoo has taken a huge step, and a huge risk at the same time when they acquire something by paying high but one’s not really sure what they are going to do with the website, which doesn’t have a good revenue potential. Tumblr has been one of the best content sharing websites, that fact cannot be ignored, but the interesting thing here to see is what Yahoo would do with it. Tumblr has got the pages from every category, which includes art, architecture, tech, sports, business and everything that one can think of, and it’s one of the neat platforms to follow some of the strongest personalities online. With more than 300 million monthly unique visitors and 120,000 signups every day, Tumblr is one of the fastest-growing media networks in the world. According to the new owner, there are around 900 posts made in Tumblr every second, and every month around 24 billion minutes are spent online on Tumblr. Tumblr’s tremendous popularity and engagement among creators, curators and audiences of all ages brings a significant new community of users to the Yahoo! network. The combination of Tumblr+Yahoo! could grow Yahoo!’s audience by 50% to more than a billion monthly visitors, and could grow traffic by approximately 20%. The main intention of Yahoo with Tumblr is to get all the bloggers, visitors and advertisers together to discover newer content that would be mutually shared between the two websites, and Tumblr would be a source of audience for the Yahoo website. David Karp, the CEO of Tumblr before the acquisition, will remain as the CEO and Marissa Mayer says she has full faith in the entire team of Tumblr which could take it to the next level. With all that said, we as bloggers and even Tumblr users would feel happy that this won’t be one of those fast growing sites which was bought to be killed slowly. Does this come as a threat to any competitors? 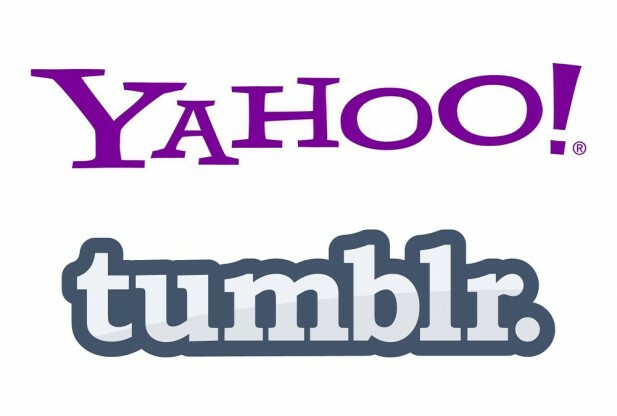 We suppose there won’t be much of an effect for the competitors as Yahoo was drowning in it’s own pool lately, and they are going to take the advantage of Tumblr’s huge network to pull itself back up. Let’s see where this is headed in the coming months.